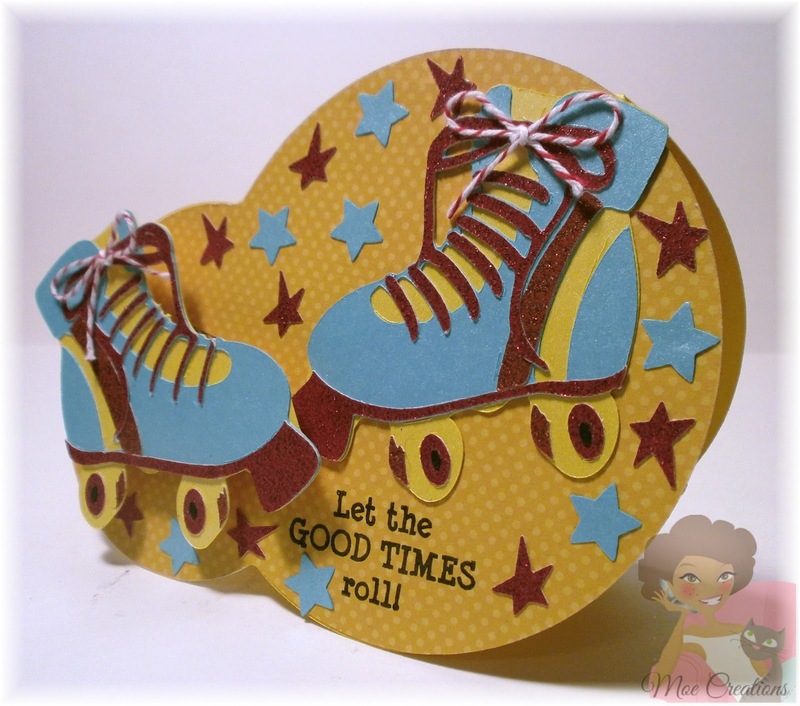 Action Wobbles: Let the Goodtimes Roll! It's Melissa with Moe Creations, it's my day at the Action Wobble blog! I wanted to do something fun!! So today I am showing you this card I made for my sister, she and I were skaters when we were younger and we will be going next week to get our roll on, so you know I just had to add an Action Wobble to my card!!!! Sorry the wobble action is a little blurred but hopefully you can tell it is wobbling! 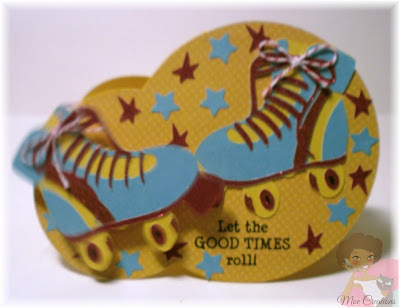 I found these retro roller skates on the Groovy times cartridge and they were perfect!!!! 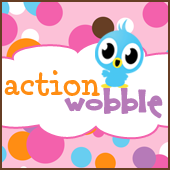 I will be giving away 6 action wobbles, so make sure you leave a comment on the Action Wobble and Moe Creations blogs for a chance to win! I also did a video, but you will have to check it out at Moe Creations, just remember I am still new at this!!!! If you are wanting your Action Wobbles right away just head over to TSQ to purchase your Action Wobbles today!!!! 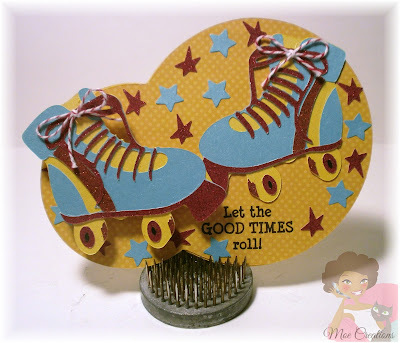 Great card to use with the Action Wobble!